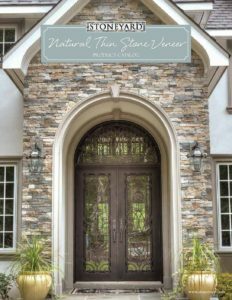 With its variety of subdued colors, Newport Mist™ lives up to its name as a color blend that works when you prefer stone that has many colors without the drama of strong hues that compete with surrounding design choices. 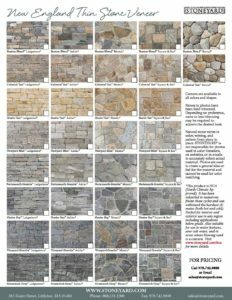 A mock-up is recommended to help in all design decisions including grout color, joint size (dry-laid, standard, or wide), and desired finish. 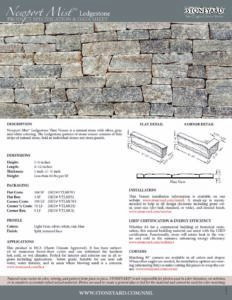 Whether for a commercial building or historical restoration, this natural building material can assist with the LEED certification. Functionally, stone will retain heat in the winter and cold in the summer, enhancing energy efficiency. Matching 90˚ corners are available in all colors and shapes. When other angles are needed, the installation options are weaving (alternating flats) or miter cutting flat pieces to wrap the corner.